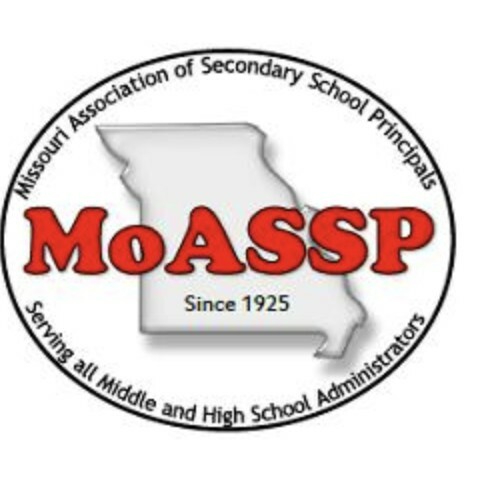 Since August 1987, MoASSP Messenger has been published by the Missouri Association of Secondary School Principals, a non-profit organization affiliated with the National Association of Secondary School Principals. 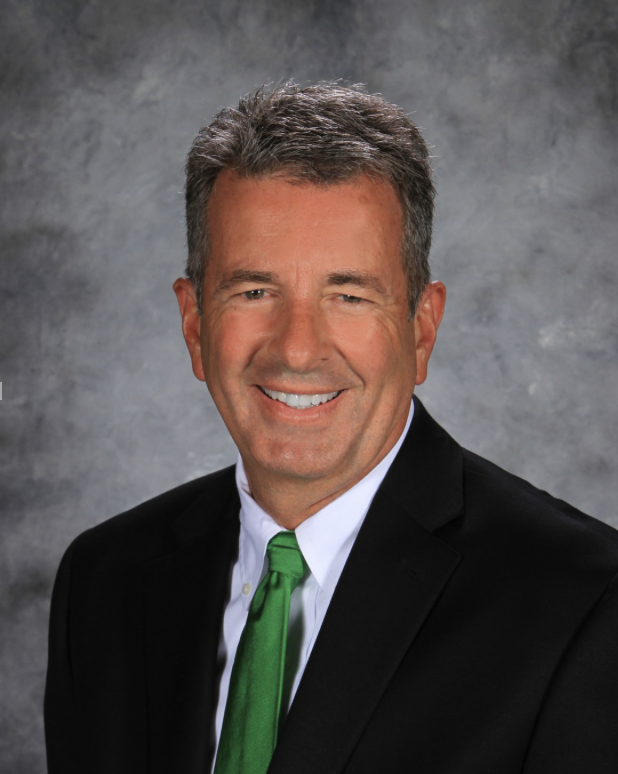 Assistant principals are crucial to the success of our nation’s schools. Honor them during #apweek19, April 8-12: www.nassp.org/apweek. 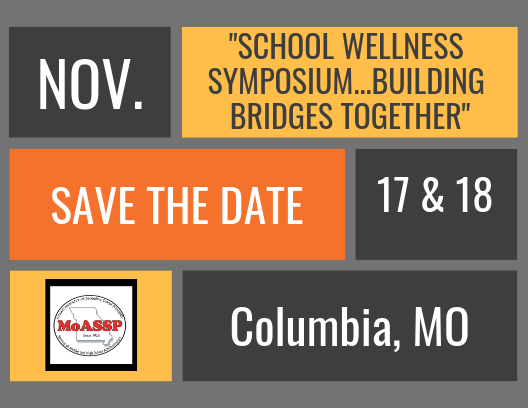 We are excited to announce that MoASSP will be sponsoring a symposium all around school wellness issues. We have excellent speakers and presenters lined up. More information is forthcoming. Stay tuned for registration information. The early feedback from about 100 attendees indicates the 47th Annual Spring Conference was a success. It isn't too late to provide us feedback. See email link from Doug that was sent on Wednesday. 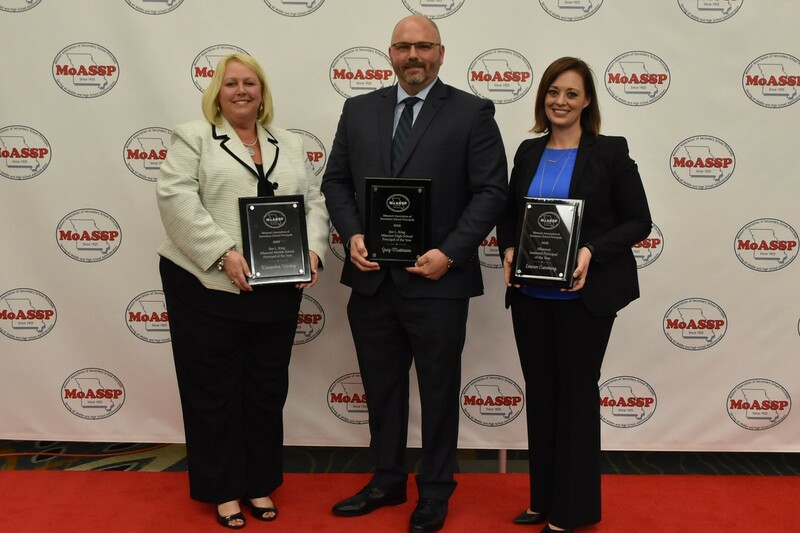 Great job to Doug, Katy, and Ginny for all of their work. 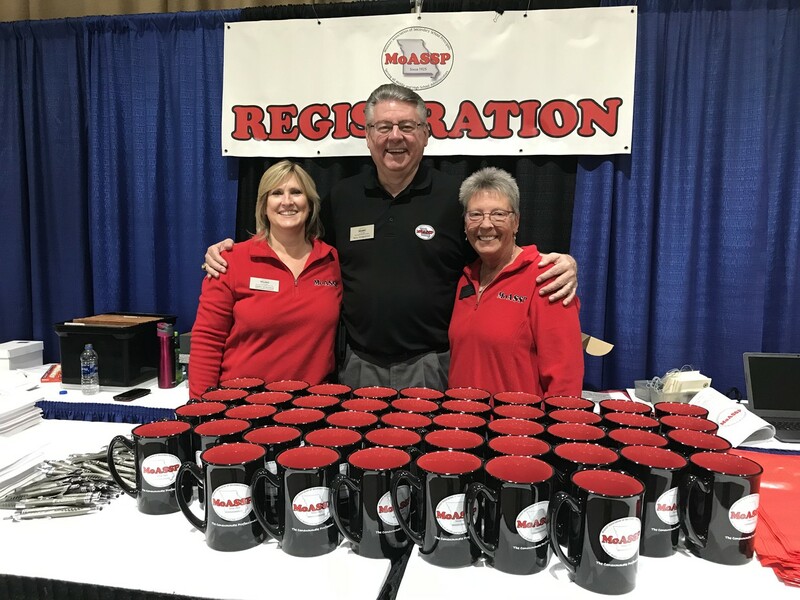 Also, for many years, Past President of MoASSP, Neal Penberthy, volunteers his time to assist throughout the conference. Thanks also to our 20 plus presenters who took time to share with their colleagues. We had many highlights, and this Messenger underscores some of the happenings in recent days. 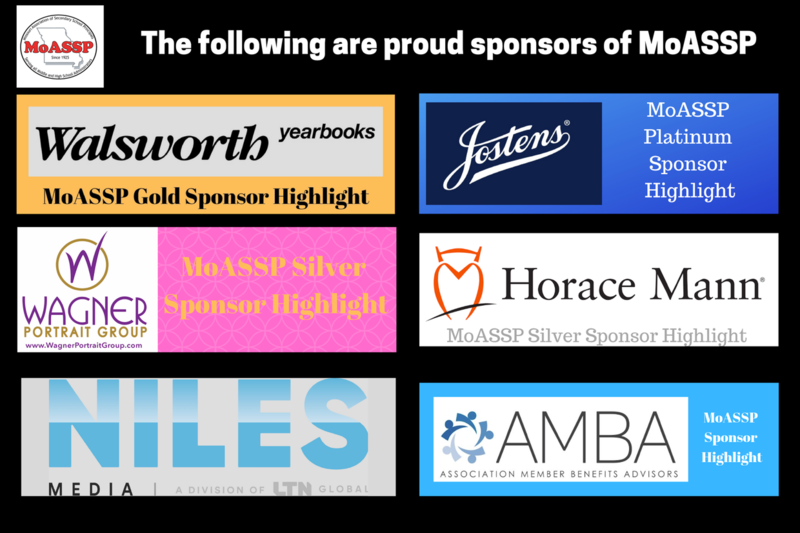 Save the date for the 48th Annual Spring Conference, March 29-31, 2020 at The Lodge of Four Seasons. I have included information about the upcoming AP Week. 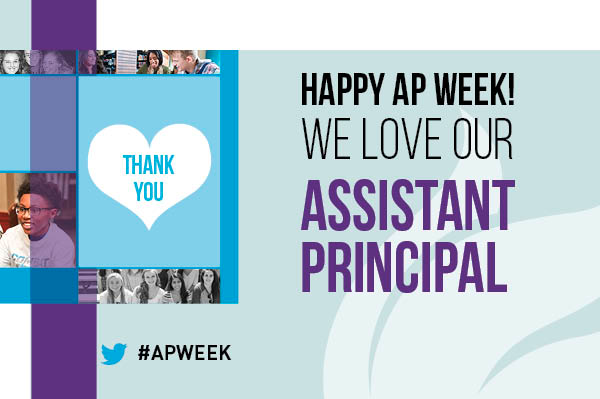 Principals, take time to honor your assistant principals. Here are some ideas and ways to help celebrate the vital role they play in our schools. 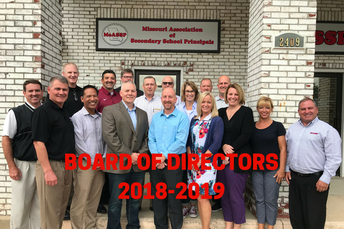 I was fortunate to have several excellent assistant principals (Kathy, Barry, Rick, Joyce, Fred, Mark, Chad, Sharon, Kevin) while a principal. I have included exciting news regarding the Board of Directors meeting last Saturday. 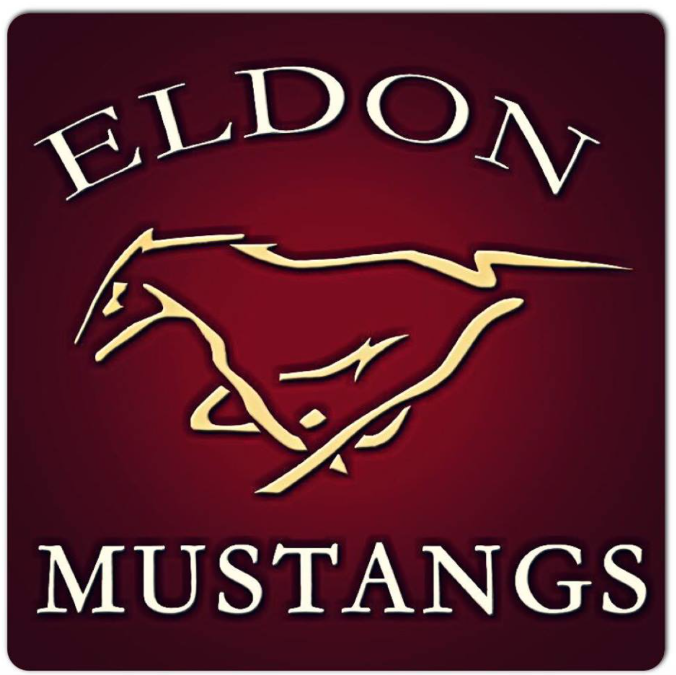 Please take a moment to complete our short evaluation electronically for the Spring Conference. Please see the conference evaluation link I mailed you Wednesday morning. These evaluations are valuable to us in preparing for future conferences, and they are confidential. 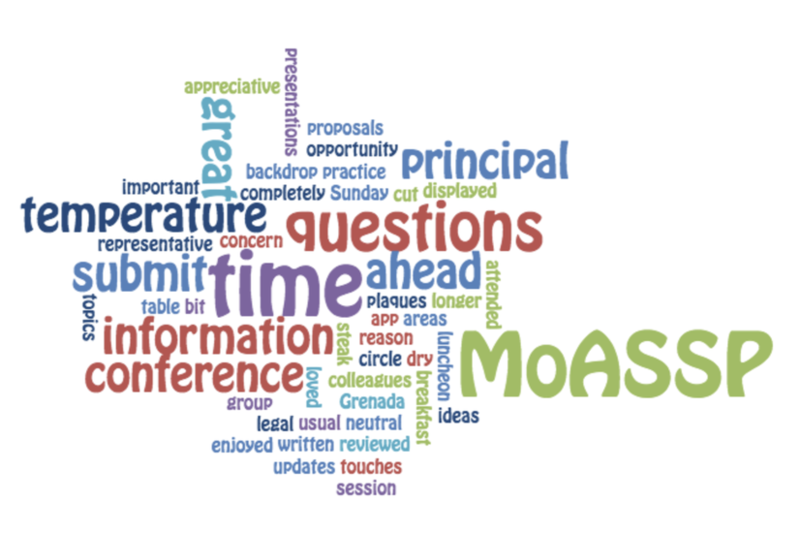 The Wordle below depicts the conference feedback we have received so far. 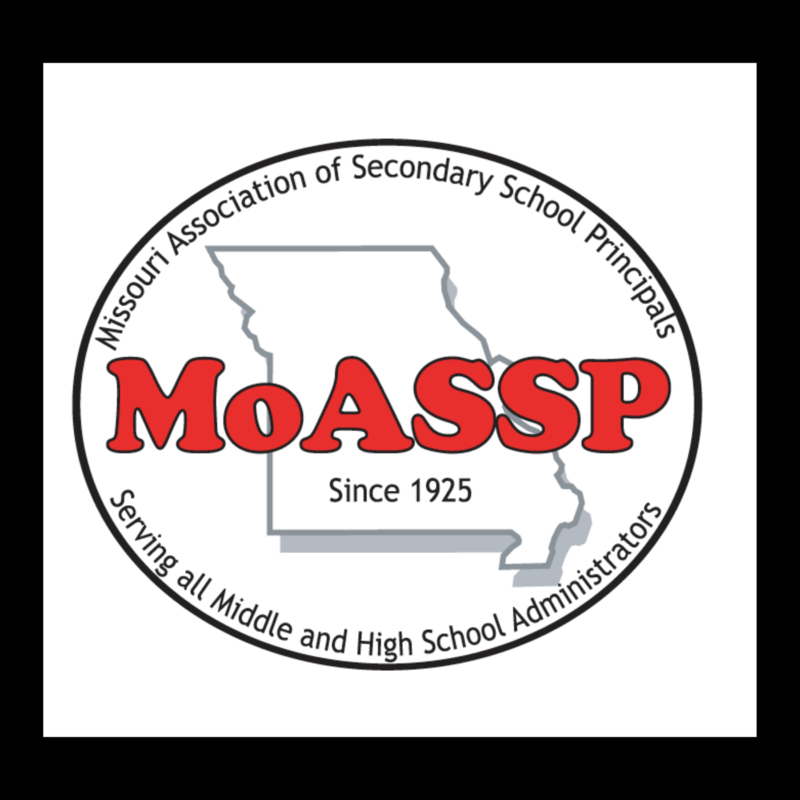 SAVE THE DATE MARCH 29-31, 2020 FOR THE 48TH ANNUAL MoASSP SPRING CONFERENCE. 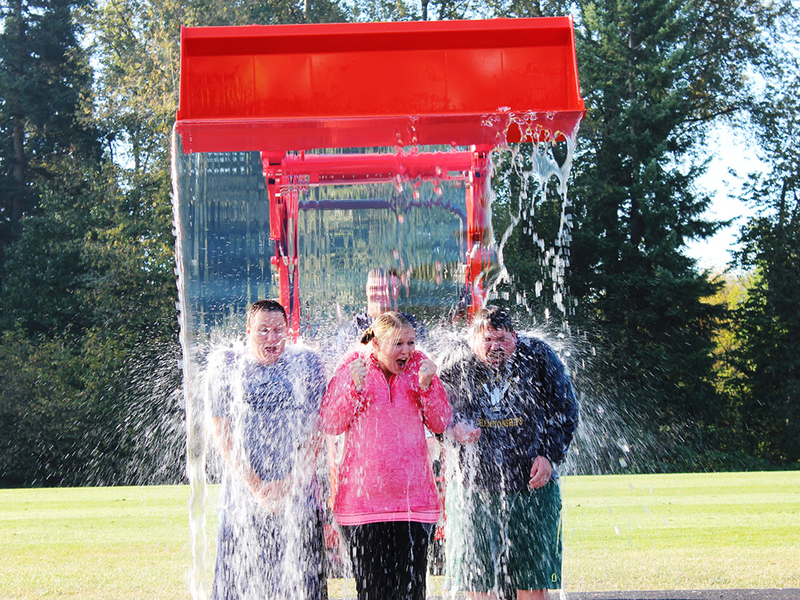 Thanks for participating and have a strong finish to your school year. 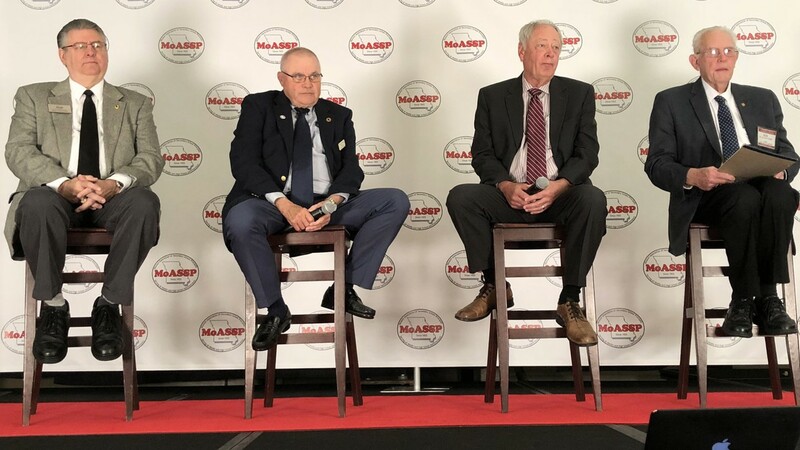 The Panel of Legends provided the attendees Tuesday morning a unique look into the history of the Association. The panel included left to right; Neal Penberthy, Dave Backer, Phil Lewis, and Bob Howe. 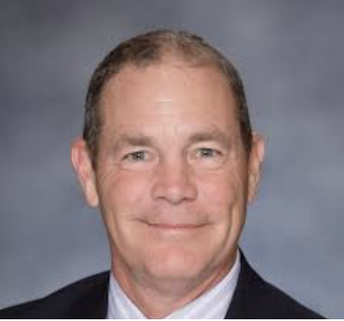 "Knowing our past enriches us today," comments Clark Mershon, Executive Director. "We value greatly these four who have given so much to the Association." 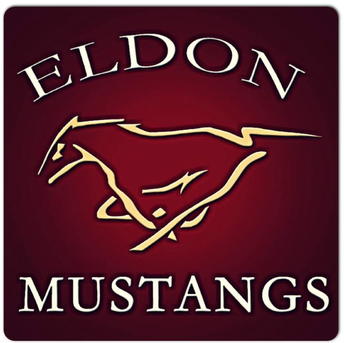 Principal, Kris Harwood, proudly introduced the Eldon HS Mixed 8 and Director Stephanie McIntosh Monday as they sang the National Anthem to begin the Awards Luncheon. The best steak in the free world. 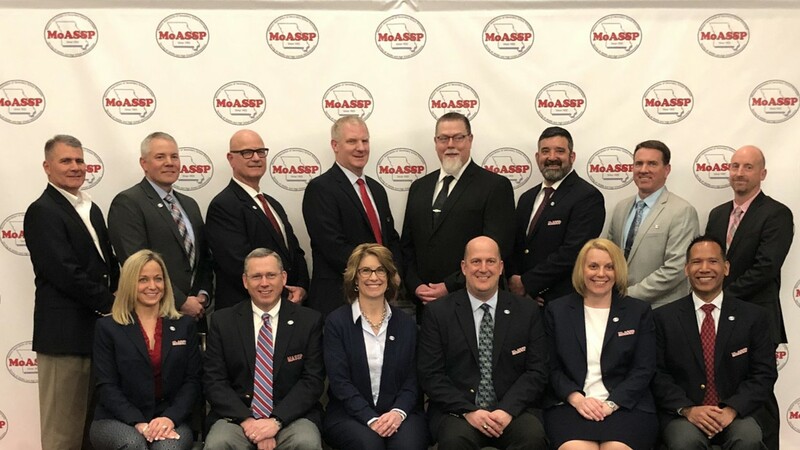 MoASSP BOARD OF DIRECTORS CONVENED FOR QUARTERLY MEETING...Votes to provide legal consultation and ELN access. 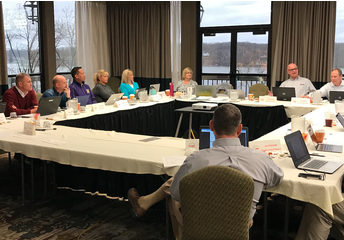 The Board of Directors met this past Saturday at The Lodge of Four Seasons for their quarterly meeting. 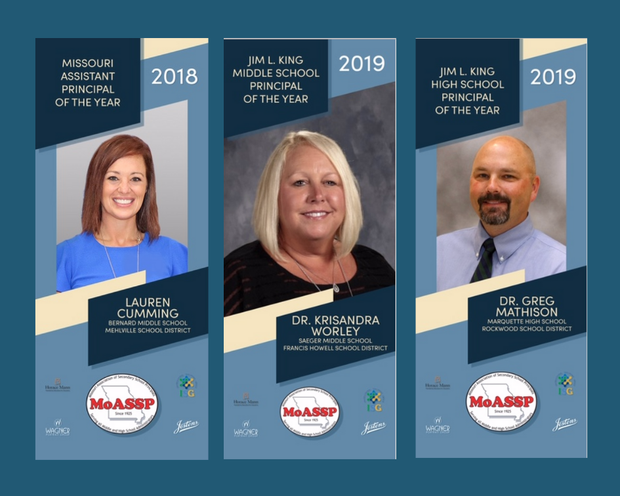 The Board approved several membership changes for the 2019-2020 school year that includes three value adds. 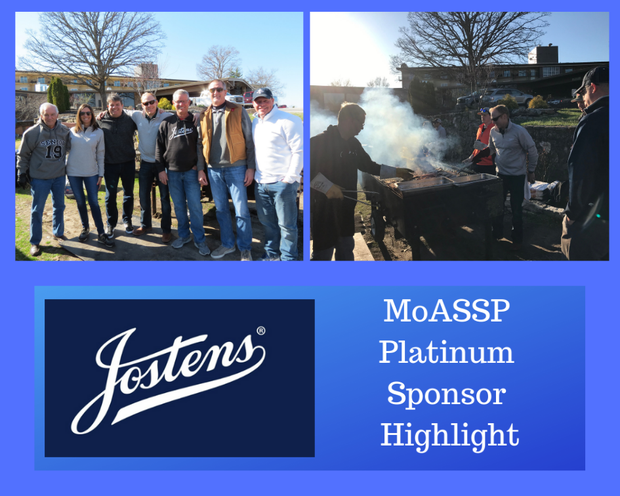 MoASSP will provide up to $500 per incident for each active member to initially begin a consultation of the legal process. 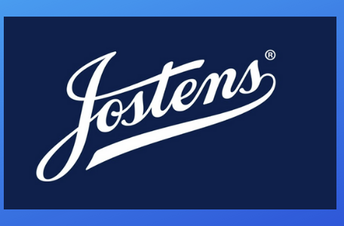 Members will be able to access legal advice and information concerning contract difficulties, state laws, and related educational issues. 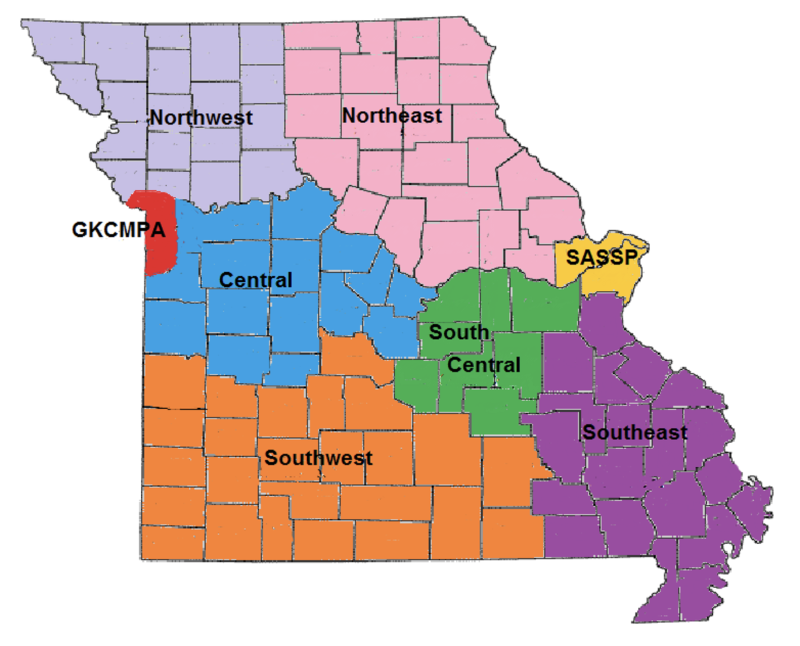 MoASSP active members seeking legal consultation must first call the MoASSP office and speak to the Executive Director. 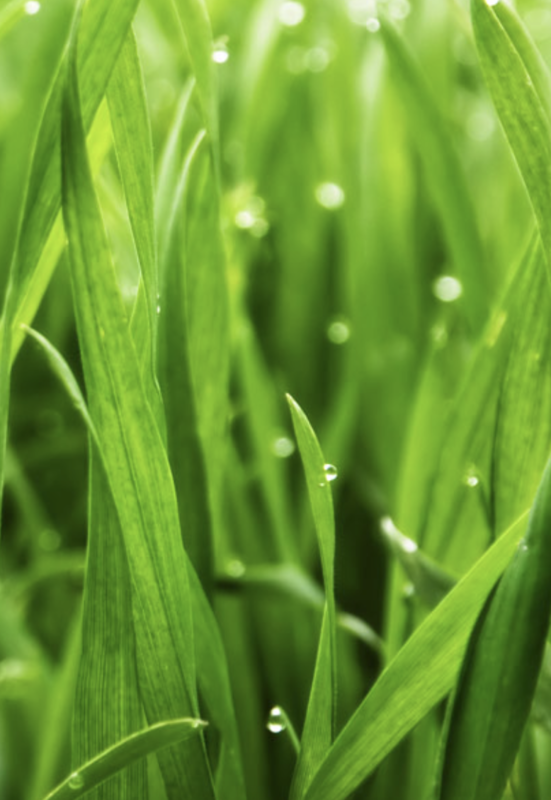 Each active member will receive access to the Ed Leaders Network (ELN). 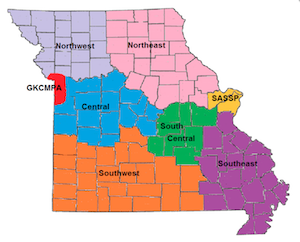 MoASSP is one of fifteen states that have partnered with ELN. Each active member and their faculty will have access to high quality online professional development library. See flyer below — more information to come. 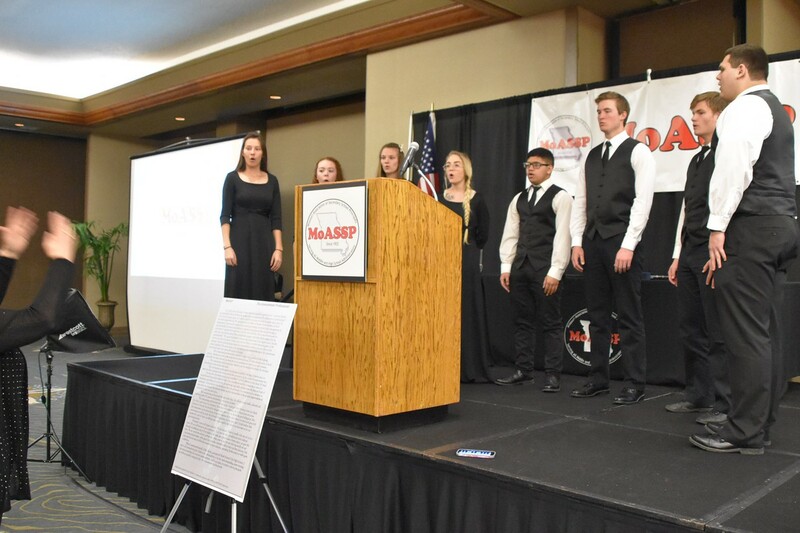 MoASSP will provide first-time active members a free registration to the 85th Annual Fall Conference in Columbia or the 48th Annual Spring Conference at The Lodge of Four Seasons as an added benefit. 2019-2020 Membership Rates: Active Membership is $279, Associate Membership is $84, Retired is $35. The Senate debated SB 292, the Senate's version of charter school expansion, this past Tuesday for approximately eleven hours. The filibuster ended at about 1:30 a.m. During the debate, six (6) senators rose to their feet to defend and support public education. The Senate may continue to debate this bill in the future, possibly even as early as next week. 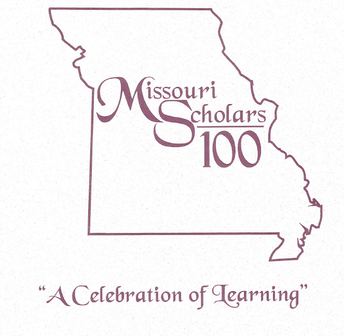 Congratulations to all of the Missouri Scholars 100 recipients and Honorable Mention students. Reception begins 11:15, Awards Luncheon begins at noon. Find time to congratulate recipient and discuss the form that they received in the mail. 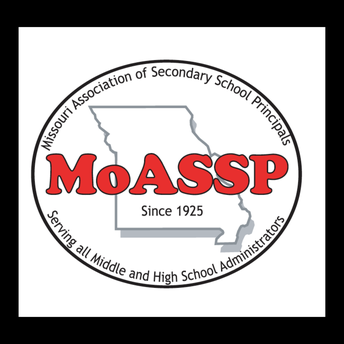 The Student Form is due back to the MoASSP office by March 22. With some schools on spring break, we will continue to take forms past the deadline. 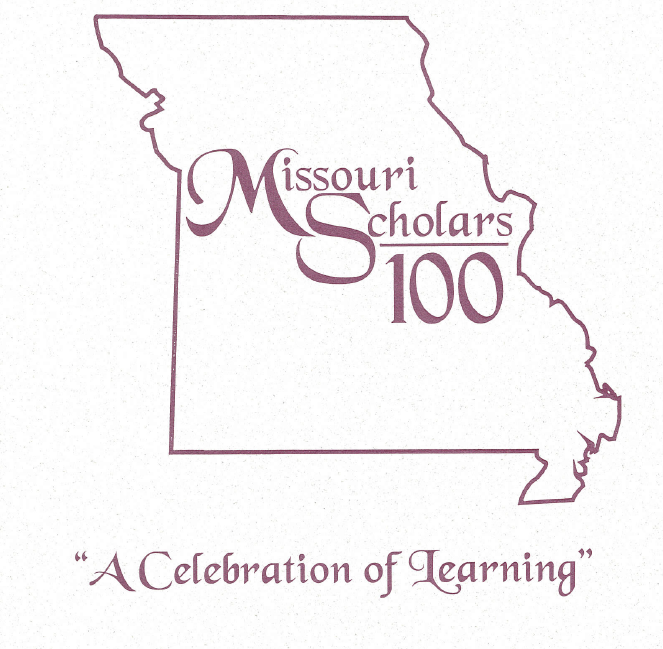 Send postcard back to MoASSP on your RSVP or the name of a representative from your school attending the ceremony. Forward news release to your district media department and local media. Send any news articles printed in your local paper. Find time to congratulate recipient. 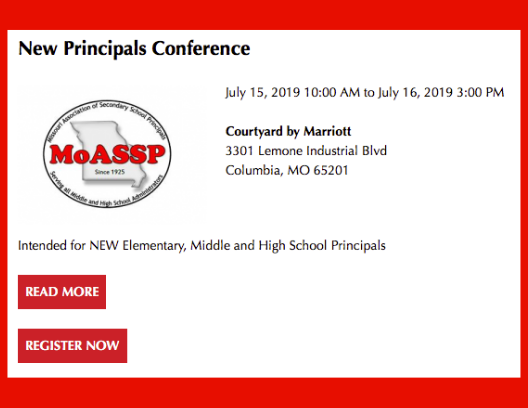 Jay Apostol, Principal, Monett MS wants to know if you have registered for the National Principals Conference in Boston? Click image for link. Check out all of the upcoming regional, workshops, and spring conference information by going to the MoASSP website. 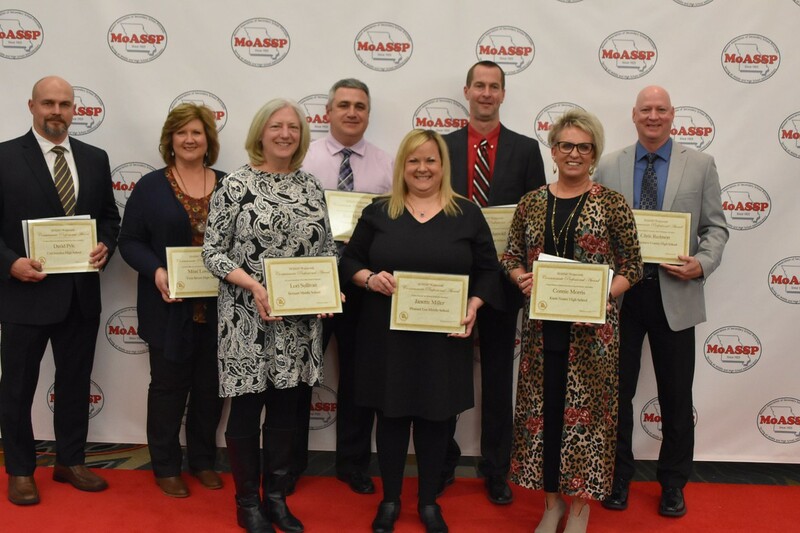 The vision of MoASSP is to serve ALL middle level and high school administrators.